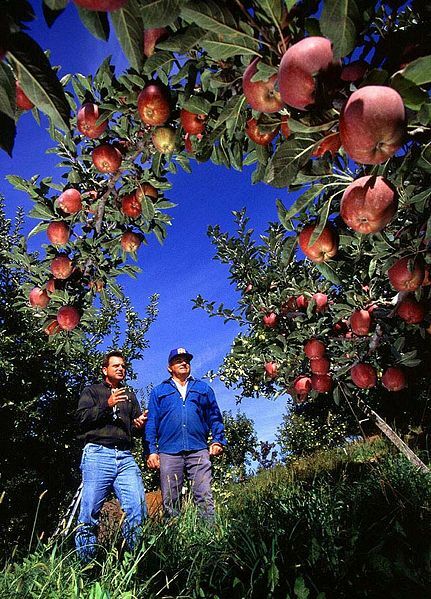 Agricultural Research Service entomologist Brad Higbee (left) explains the benefits of areawide insect pest suppression to Jerry Wattman, manager of this apple orchard near West Parker Heights, Washington. USDA photo by Scott Bauer. Image Number K7614-6. This page was last modified on 4 August 2006, at 19:52.